If you say “tool timeee!” I’ll probably not speak to you for a month. But if you don’t say tool time I’ll probably glare at you until Album 67 comes out, so you really don’t have much of a choice. 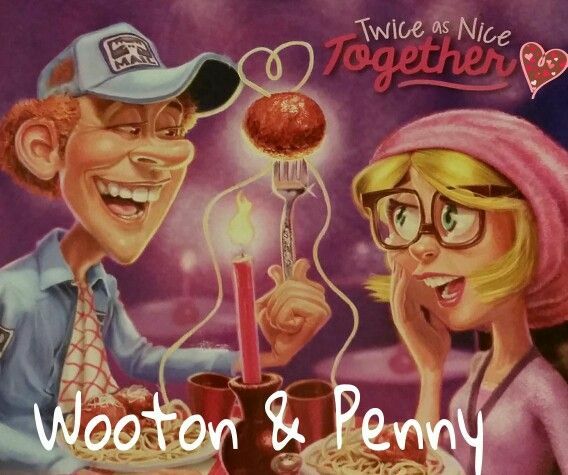 As it is, it’s not tool time, it’s ranting time about another actually kinda controversial couple, Wooton and Penny! *crackles knuckles* The research for this post included re-listening to one or two or three episodes, searching up old AIO bloggies and checking out the ToO, as well as re-reading a bunch of the AIOWiki’s synopses, so I’d say I’m pretty well prepared. (If only my schoolwork research was as fun as this. Ahem.) let’s go before someone jumps ship- the relationship, that is! Boy, I’m gonna be glad when February’s over.